From the mid-1920s until his death in 1976, Czech photographer Joseph Sudek shot Gothic and Baroque architecture, street scenes and still lifes--usually leaving the frame free of people and capturing a poetic and highly individualistic glimpse of Prague. The still lifes are the best known aspect of his oeuvre; indeed, his graceful depictions of drinking-glasses and eggs are familiar to those who don't necessarily even know his name. Acceding to his reclusive nature, Sudek began The Window of My Studio series in the 1940s. It allowed him to capture street scenes without going outside and helped him discover a particular fondness for how glass refracts light. The still lifes emerged from the informal arrangements Sudek would make on his windowsill, and occupied him for a number of years. Depicting a range of quotidian objects with a marked artfulness--some were made in homage to favorite painters like Caravaggio--the series deserves a deeper look. 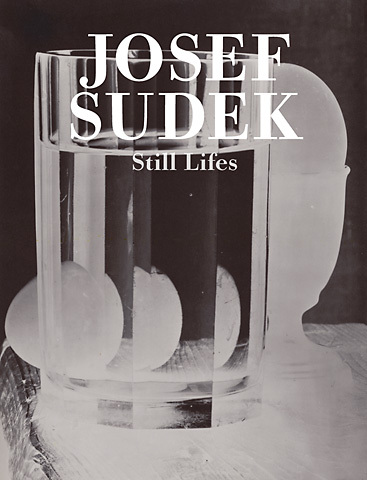 This volume is the first in-depth study of Sudek's still lifes and also explores his creative use of carbon printing--a pigment process on rag paper not often used photographically--which lent so many of his images such extraordinary depth and warmth.